1. System Dynamics (4th Edition) by Katsuhiko Ogata. 2. Modern Welding by Andrew D. Althouse – Carl H. Turnquist – William A. Bowditch – Kevin E. Bowditch – Mark A. Bowditch. 3. Process Technology: Safety, Health, and Environment by Charles E. Thomas. 4. Information Systems Today (5th Edition) by Joseph Valacich – Christoph Schneider. 5. Process Technology Systems by Michael Speegle. 6. Welding Print Reading by John R. Walker – W. Richard Polanin. 7. Robotics Technology: Theory and Industrial Applications by Larry Ross – Stephen Fardo – James Masterson – Robert Towers. 8. Food Processing Technology: Principles and Practice (Woodhead Publishing in Food Science, Technology and Nutrition) by P J Fellows. 9. Manufacturing Engineering & Technology (6th Edition) by Serope Kalpakjian – Steven Schmid. 10. Welding Level 1 Trainee Guide, Paperback (4th Edition) (Contren Learning) by NCCER. 11. 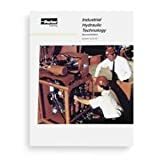 Welding Technology Fundamentals by William A. Bowditch – Kevin E. Bowditch – Mark A. Bowditch. 12. Makers: The New Industrial Revolution by Chris Anderson. 13. American Electricians’ Handbook, Sixteenth Edition by Terrell Croft – Frederic P. Hartwell – Wilford I. Summers. 14. Information Technology: Inside and Outside by David Cyganski – John A. Orr – Richard F. Vaz. 15. Management of Technology : Managing Effectively in Technology-Intensive Organizations by Hans J. Thamhain. 16. Industrial Control Electronics by Terry L.M. Bartelt. 17. Practical Problems in Mathematics for Welders (Practical Problems In Mathematics Series) by Robert Chasan. 18. System Dynamics: An Introduction by Derek Rowell – David N. Wormley. 19. Productivity and Reliability-Based Maintenance Management by Matthew P. Stephens. 20. The Hardware Startup: Building Your Product, Business, and Brand by Renee DiResta – Brady Forrest – Ryan Vinyard. 21. Engineers and Their Profession by John D. Kemper – Billy R. Sanders. 22. The Digital Information Age: An Introduction to Electrical Engineering (MindTap Course List) by Roman Kuc. 23. How To Make Money With 3D Printing: Passive Profits, Hacking The 3D Printing Ecosystem And Becoming A World-Class 3D Designer by Jeffrey Ito. 24. Handbook of Nondestructive Evaluation, Second Edition by Chuck Hellier. 25. Modern Welding by Andrew D. Althouse – Carl H. Turnquist – William A. Bowditch – Kevin E. Bowditch – Mark A. Bowditch. 26. The Art Student Survival Guide (Design Concepts) by Jeffrey Otto. 27. System Engineering Management by Benjamin S. Blanchard. 28. Industrial Supervision in the Age of High Technology by David L. Goetsch. 29. 1800 Mechanical Movements, Devices and Appliances (Dover Science Books) by Gardner D. Hiscox. 30. Modern Global Seismology, Volume 58 (International Geophysics) by Thorne Lay – Terry C. Wallace. 31. Model Predictive Control Theory and Design by James B. Rawlings – Mayne David Q..
32. Systems Engineering Principles and Practice by Alexander Kossiakoff – William N. Sweet. 33. Control Systems Engineering, 4th Edition by Norman S. Nise. 34. Medical Device Technologies: A Systems Based Overview Using Engineering Standards (Academic Press Series in Biomedical Engineering) by Gail Baura. 35. Information Technology Investment: Decision-Making Methodology by Marc J Schniederjans – Jamie L Hamaker – Ashlyn M Schniederjans. 36. Chemical Engineering Reference Manual, 7th Ed by Michael R. Lindeburg PE. 37. Practice Problems for the Chemical Engineering PE Exam, 7th Ed by Michael R. Lindeburg PE. 38. System Dynamics (3rd Edition) by Katsuhiko Ogata. 39. Systems Engineering and Analysis (4th Edition) by Benjamin S. Blanchard – Wolter J. Fabrycky. 40. A Research Primer for Technical Communication: Methods, Exemplars, and Analyses by Michael A. Hughes – George F. Hayhoe. 41. 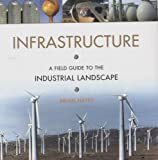 Infrastructure: A Field Guide to the Industrial Landscape by Brian Hayes. 42. Industrial Electronics by James T. Humphries – Leslie P. Sheets. 43. Measurement and Control Basics, 4th Edition by Thomas A. Hughes. 44. Welding Skills, Processes and Practices for Entry-Level Welders: Book 3 by Larry Jeffus – Lawrence Bower. 45. Hemp Masters: Ancient Hippie Secrets for Knotting Hip Hemp Jewelry by Max Lunger. 46. Fundamentals of Signals and Systems by M.J. Roberts Professor. 47. So You Want To Be An Engineer: What to Learn and What to Expect by Ray Floyd – Richard Spencer. 48. Welding: Principles and Applications, Fourth Edition by Larry Jeffus. 49. Industrial Hydraulic Technology Bulletin 0232-B1 by . 50. Quality Assurance for the Chemical and Process Industries: A Manual of Good Practices by American Society for Quality Control – Asq Chemical & Process Industries DIV. 51. Reboot: Competing with Technology Strategy by Lisa B. Jasper – Jim Smelley. 52. Software Process Dynamics by Raymond J. Madachy. 53. Process Technology Systems by Michael Speegle. 54. Variable Speed Pumping: A Guide to Successful Applications by Europump & the Hydraulic Insti. 55. Electricity & Electronics For Industrial Maintenance by Thomas E. Kissell. 56. Collective Intelligence: Mankind’s Emerging World in Cyberspace by Pierre Levy. 57. Getting Started with CNC: Personal Digital Fabrication with Shapeoko and Other Computer-Controlled Routers (Make) by Edward Ford. 58. ISA Handbook of Measurement Equations and Tables, 2nd Edition by . 59. CNC Handbook by Hans B. Kief – Helmut A. Roschiwal. 60. Smart Inventory Solutions by Phillip Slater. 61. Industrial Network Basics: Practical Guides for the Industrial Technician! (Volume 3) by Gary D Anderson. 62. 3D Printing with Autodesk 123D, Tinkercad, and MakerBot by Lydia Sloan Cline. 63. Engineering Tribology by Gwidon Stachowiak – Andrew W Batchelor. 64. The Chemistry of Fragrances: From Perfumer to Consumer (RSC Paperbacks) by . 65. PRACTICAL ARRAY PROCESSING by Mark C. Sullivan. 66. Planning, Performing, and Controlling Projects: Principles and Applications (2nd Edition) by Robert B. Angus – Norman A. Gundersen – Thomas P. Cullinane – Robert Angus. 67. 1800 Mechanical Movements, Devices and Appliances (Dover Science Books) by Gardner D. Hiscox. 68. Fuzzy Control: Synthesis and Analysis by . 69. Basic Pneumatics: An Introduction to Industrial Compressed Air Systems and Components, Revised Printing by Jay F. Hooper. 70. System Analysis, Design, and Development: Concepts, Principles, and Practices by Charles S. Wasson. 71. Dynamic Modeling and Control of Engineering Systems (2nd Edition) by J. Lowen Shearer – Bohdan T Kulakowski – John F. Gardner. 72. Modern Welding Technology (6th Edition) by Howard B. Cary – Scott Helzer. 73. Managing Technological Innovation: Competitive Advantage from Change by Frederick Betz. 74. CNC Control Setup for Milling and Turning by Peter Smid. 75. Industrial Discipline-Specific Review for the FE/EIT Exam, 2nd Ed by Michael R. Lindeburg PE. 76. Die Design Fundamentals by Vukota Boljanovic. 77. Schaum’s Outline of Strength of Materials, 6th Edition (Schaum’s Outlines) by William Nash. 78. Smaller Faster Lighter Denser Cheaper: How Innovation Keeps Proving the Catastrophists Wrong by Robert Bryce. 79. Industrial Refrigeration Handbook by Wilbert Stoecker. 80. Packaging Design: Successful Product Branding from Concept to Shelf by Marianne R. Klimchuk – Sandra A. Krasovec. 81. Aws D1.1/D1.1m 2010: Structural Welding Code Steel by AWS. 82. Revolution in Miniature: The History and Impact of Semiconductor Electronics by Ernest Braun – Stuart MacDonald. 83. Plastic Injection Molding: Mold Design and Construction Fundamentals (Fundamentals of Injection Molding) (2673) (Fundamentals of injection molding series) by Douglas M. Bryce. 84. Microsystem Design by Stephen D. Senturia. 85. 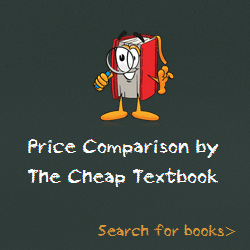 Quick Reference for the Chemical Engineering PE Exam, 3rd Ed by Michael R. Lindeburg PE. 86. Forces of Production: A Social History of Industrial Automation by David F. Noble. 87. Compressors: How to Achieve High Reliability & Availability by Heinz P. Bloch – Fred K. Geitner. 88. Forecasting and Management of Technology by Alan L. Porter – Scott W. Cunningham – Jerry Banks – A. Thomas Roper – Thomas W. Mason – Frederick A. Rossini. 89. Real World Instructional Design by Katherine Cennamo – Debby Kalk. 90. Construction Master Pro: Workbook and Study Guide by Calculated Industries – Bob Kokernak. This entry was posted in Textbooks.